The tour�s title �To Be Here Someday� is a line from their iconic single �Dignity� and encapsulates the band�s hopes, their passion and joy in being able to share with their fans the biggest songs from throughout their career. 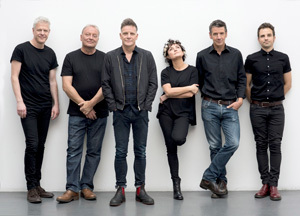 As has become a feature of their live shows, they will present a set list that will change night by night but will always be full of classic Deacon Blue. All tickets subject to booking fee.